The new spaceship from Virgin Group Ltd. made its first free flight this Saturday. The VSS Unity completed successfully the test flight that lasted 1 hour and 20 minutes, over the Mojave desert. This represents an advance of the project that the Virgin Group presented years ago: making space travels possible for tourists. In this test flight, the VSS Unity flew attached to its mothership the WhiteKnightTwo. Afterward, the pilots from the mothership released the VSS Unity and glided back to ground with no complications. The spacecraft achieved the maximum speed of 460 miles per hour at an altitude of 50,000 feet. Then, it stayed in the sky for around 10 minutes before landing successfully, completing the test. This flight is the fifth one of the VSS Unity and the 218th of the WhiteKnightTwo. In this occasion, the team of researchers had as primary objective the confirmation of all the analyses and calculations they made, regarding VSS Unity development in real flight conditions. According to the official declaration from Virgin Galactic, the initial impression of the test is positive in all aspects. The feedback from the pilots also indicates the great performing of the spacecraft. However, the company is going to take some time to analyze all the results extensively, and as soon as the experts and engineers approve a next test flight, the VSS Unity will return to the air. The company’s CEO, Sir Richard Branson, thanked the team and expects to accomplish all the objectives in the short future. 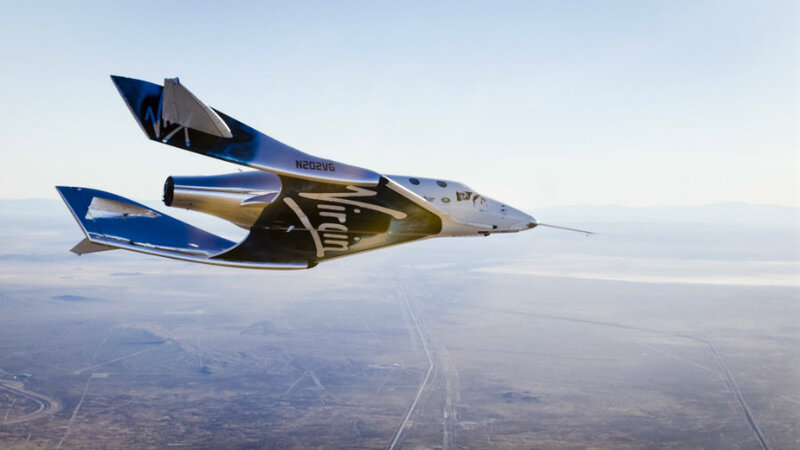 “Their everyday work is paving the way for everyday citizens to one day experience the thrills of SpaceShipTwo and views of our home planet from space,” Branson said in a thanking note in the Virgin´s official blog site. On December of 2014, the predecessor of the VSS Unity, the VSS Enterprise, crashed in the Mojave Desert leaving one dead and one injured. After the spacecraft had been separated from its mothership, the WhiteKnightTwo, both pilots reported an “anomaly.” According to witnesses at the scene, the ship exploded while it was in the air not after one of the pilots managed to eject himself. Richard Branson said after the incident that there was not any explosion reported at the moment and that the crash was produced by a technical “mid-air” failure. Experts then suggested that the accident was caused by one of the pilots starting the landing brake earlier and collapsing the system. This flight was the first after nine months of engineering development done to the spacecraft by The Spaceship Company, a British-American manufacturing company that works as a partner of Virgin since its foundation in 2005. The long-term Virgin Group project of space traveling for tourists hopes to do more tests in 2017. The visionary innovation project is going to sell tickets in $25,000 and the waiting list already has about 700 persons interested.